How Long Does Vyvanse Stay In Your System: Urine, Blood, And Hair? 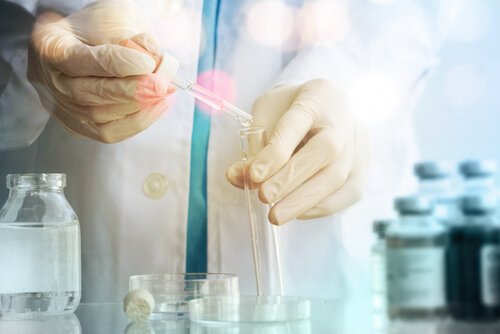 Drug tests are used in a variety of settings, from employers making sure their employees are representing them well to parents making certain their kids are staying clean. Some prescription medications can show up on these drug tests because they are amphetamines, including Vyvanse for ADD. How long does Vyvanse stay in your system? Here is important information about Vyvanse drug testing. How Long Does Vyvanse Remain In The System? How Long Does Vyvanse Remain In The Urine, Blood, And Hair? Can You Speed Up System Cleaning? Someone who is abusing the drug is likely to be experiencing mental health effects, including Vyvanse anxiety. This can make worries over drug testing extra troubling. Understanding science can help. Half-life is one of those medical terms many people use but few understand. Often thought to mean how long half the medicine remains in the system as a whole. It actually references how long it takes for half the drug to be eliminated from the plasma of the blood. So, when speaking about Vyvanse half-life, what is specifically being referenced is how long it takes for the blood plasma levels of the drug to reach 50 percent. Higher concentrations can remain in other body elements for much longer. The Vyvanse half-life is short. Considering how long Vyvanse 70 mg lasts, it’s worth saying that the medication itself is not in the system long. The half-life for it in the blood plasma is less than one hour. Complete clearance of the primary ingredient, lisdexamfetamine, occurs in under six hours. Most of the drug is excreted through the urine, though a small portion is eliminated through feces. To those questioning how long does Vyvanse stay in the system, this sounds like good news. But it is a bit misleading. While the medication itself may be eradicated from the system in six hours or less, the metabolites will remain. For those wondering whether Vyvanse shows up on a drug test, the answer is yes, and it is the metabolites that are tested for. When the primary ingredient metabolizes, it turns into dextroamphetamine and L-Lysine. Dextroamphetamine has a longer half-life than lisdexamfetamine, coming in at around 11 hours. This means that full excretion of the medication and its metabolites from the system is roughly two-and-a-half days. In other words, for drug testing purposes, the half-life of Vyvanse should be considered to be 11 hours, not less than one hour. This is assuming the user is taking the Vyvanse max dose as recommended by the FDA and not exceeding it. People who are worried about how long Vyvanse time release remains in the system need to know about the variables that can influence this. Usually, they are looking for how to make Vyvanse wear off faster. However, not all variables that affect how long Vyvanse lasts in the system can be altered. As such, no online guide can tell someone exactly how long it will take to get Vyvanse out of their system. All numbers are approximate. There are multiple ways drugs can be tested for. However, the most common are urine, blood, and hair tests. How long Vyvanse is in your system will vary depending on what is being tested. If the person knows in advance when they will be tested and through what method, it can be easier to beat the exam. Vyvanse may not always show up on a urine test. If the test is for amphetamines, it can be detected. A Vyvanse urine test is the most likely one to be used. 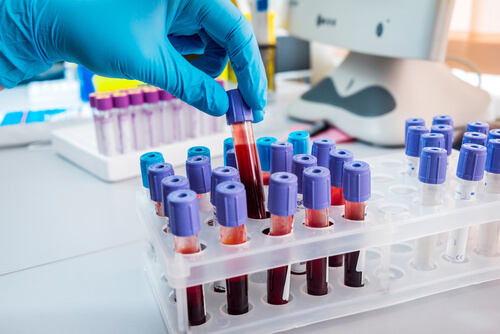 This is because it can detect the presence of the medication’s metabolites for a greater period than blood and it is a cheap test to administer. Results are instant, allowing the tester to get their answers quickly. Vyvanse in urine is detectable for up to four days. Blood testing for amphetamines is highly accurate. However, it is more difficult and more expensive than urine testing. It is also less likely to catch the use of the drug if it is not being used frequently. 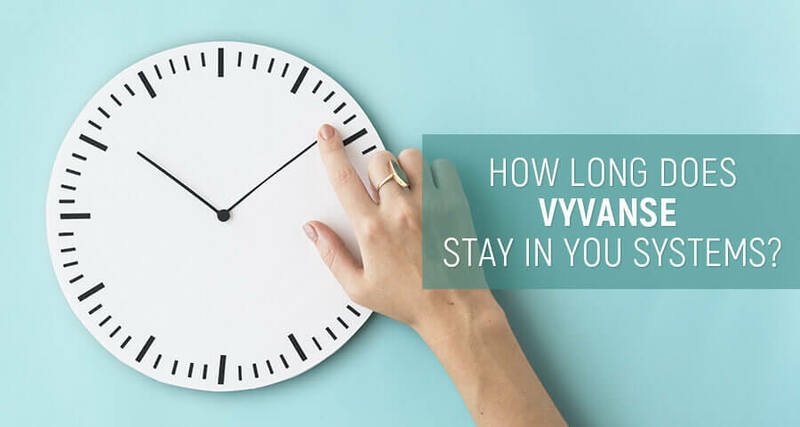 Speaking about how long Vyvanse stays in your blood, it remains detectable for approximately 12 hours, which means the window for testing is relatively small. This is because the body’s filters remove it from the blood quickly, transferring it to the urine and feces. Hair testing for Vyvanse, as well as other drugs, is expensive to complete, and as such is rare. However, it is where there is the greatest risk for a positive result. When talking about the majority of the body, it is mere days, but when it comes to the hair, Vyvanse and other amphetamines can remain present and detectable for as long as three months. Anyone attempting these quick fixes must take care not to dehydrate. It is also important to note that the easiest way to pass a test is not to use drugs in the first place. Given that Vyvanse is legal to use when prescribed, another option would be to obtain and present a valid prescription before testing. However, as it is a controlled substance and most doctors have significant waiting periods, this is easier said than done. Anyone who is worried about passing a drug test for Vyvanse is likely misusing the medication and in need of help. While looking into natural alternatives to Vyvanse is a good idea, the best course of action is to seek help. Drug rehabilitation centers can help those addicted to Vyvanse get clean and live a better life. There are many addiction treatment programs which help addicts to recover.